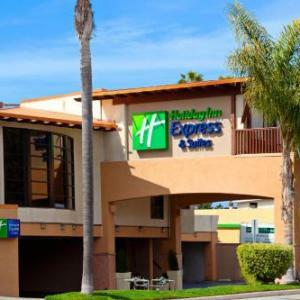 As the closest of the Del Mar Fairgrounds hotels, when you stay at the Hilton San Diego/Del Mar, you can walk or shuttle your way to your event at the fairgrounds just across the street. Dining is a simple affair at the in-hotel restaurant, as is relaxing; you'll find a pool, a fireplace, and outdoor fire pit at your convenience, as well as comfortable rooms in which to unwind. 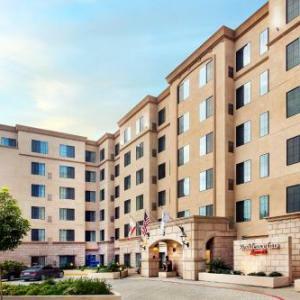 With extras like complimentary breakfasts and WiFi, you can't help but feel like you're being treated well at the Residence Inn by Marriott San Diego Del Mar. 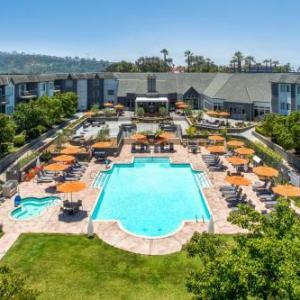 You'll eat well in your fully equipped kitchen, and will find yourself conveniently located close to all of the major attractions of Balboa Park and some of the world's biggest high-tech companies. 10 minutes' drive from the venue. 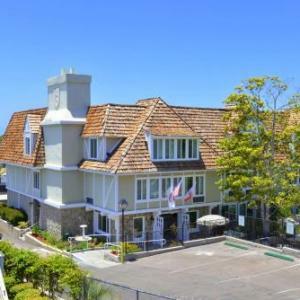 Featuring a beachfront sundeck, an outdoor shower, and ocean views, the Del Mar Motel on the Beach is an infusion of natural beauty. The rooms are well-equipped with TVs, WiFi, and mini-fridges, and you'll find plenty of ways to relax on the nearby beach. 6 minutes' drive from the venue. 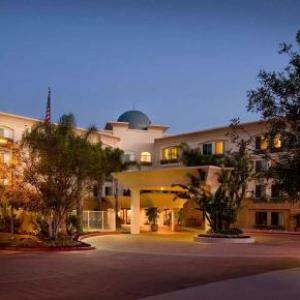 The Del Mar Fairgrounds are located about a 20 - 25 minute drive from downtown San Diego. 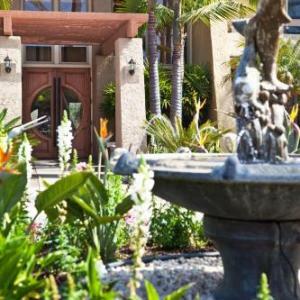 The grounds are located right on the San Dieguito River, and the ocean is just a stone's throw away. How can I spend the day in San Diego before heading to a concert? If there's one thing you must do before leaving San Diego, it's taking a trip to Balboa Park. And by one thing, we actually mean "many things," as the park itself contains many different must-see attractions. Visit the San Diego Air & Space Museum, the Reuben H. Fleet Science Center, the San Diego Natural History Museum, the San Diego Automotive Museum, the world famous San Diego Zoo, the San Diego Model Railroad Museum, the San Diego Museum of Art, the Timken Museum of Art, the Museum of Photographic Arts, or the Museum of the Living Artist. Each one is a world-class museum, and it all just so happen to be situated in this stunning setting of unique architecture and green spaces. 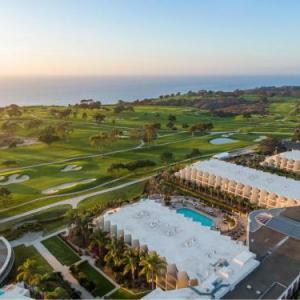 You could spend your whole visit in this one area just 25 minutes' drive from the venue, and handy for downtown San Diego. Nestled into the beautiful San Diego Bay is Seaport Village, an area overflowing with restaurants and shops. Stroll the docks and stock up on must-haves and souvenirs before tasting all that the local cuisine has to offer. If you've ever wondered what life is like aboard an aircraft carrier, you'll definitely want to visit the USS Midway. Once the world's largest ship, the Midway was operated by the US Navy from 1945 to 1992 and is now a fully interactive museum that will get you well acquainted with this airbase on the sea. 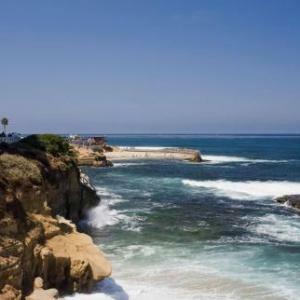 If you're looking for something a little closer to the Del Mar Fairgrounds, the North Bluff Preserve is a beautiful way to start or end your day. With more than 2-miles of sandy beach on offer, breathtaking views of the sea, and playgrounds for the little ones, you can swim, run, or simply relax with a good book in the sun. Where are the best places to eat and drink near Del Mar Fairgrounds? Offering views of the harbour and impeccably prepared fresh seafood, this is a popular stop for locals and visitors alike. 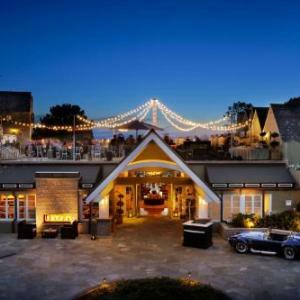 And at just 10 minutes by foot from the Del Mar Fairgrounds, you can easily stop in before or after your event. This restaurant also has a location in downtown San Diego. Just a building or two over from the Fish Market Restaurant, the French Pamplemousse Grille, is another highly rated (if pricy) favourite. Featuring more seafood fare (with the Pacific so nearby, it's kind of the standard here), salads, soups, and even burgers and ribs, you can't go wrong when dining here. Even closer to the water, Bangkok Bay features some of the best Thai food in town. From the colourful, red hot soups, to classics like drunken noodles and pad Thai, you'll feel nurtured and satisfied when you choose to eat here before heading to the fairgrounds, 25 minutes' walk or 4 minutes' drive away. More general info is available on the San Diego visitor website. What's the best way to get to Del Mar Fairgrounds? The COASTER Train and the BREEZE bus both service the fair. If you're not close to either of those, the SPRINTER and the San Diego Trolley lines both connect to the COASTER and the BREEZE. When you arrive at the Solana Beach COASTER station, you'll present your ticket again to board a shuttle to the fairgrounds. If you're here for the San Diego County Fair, consider buying the Fair Tripper combo package, which combines your admissions ticket and your public transport ticket into one. During the fair, onsite parking costs $10 per vehicle and is cash only. Offsite, there is free parking and shuttles from Horsepark lot, which is open every day of the fair, and from MiraCosta College's San Elijo Campus and Torrey Pines High School, which are open on weekends. Check the Fair's website for more details. What kind of food and drink can visitors expect at the Del Mar Fairgrounds? If you're visiting during the San Diego County Fair, you'll find just about every type of food under the sun. Stands offer everything from Mexican to Cajun, seafood to hot dogs, and of course deep-fried everything (including Slim Fast bars). There are also indoor restaurants, including the Heineken Red Star Café, the Paddock Tavern, the 17 Hands Restaurant & Cantina, and the Surfside Race Place. Similar fare is available all year round. If you're there for the Fair, gates open at 11 A.M. on weekdays, 10 A.M. on the weekends, and at 4 P.M. on opening day. If you'll be there for the Scream Zone, gates open at 7 P.M. every evening. For all other events, check the fairgrounds website. There are no drones allowed on the premises, so there are no opportunities for that aerial shot. Primary reason to go was to see a table that my husband entered in the Design in Wood competition. One of the better fairs I've attended. Liked: Lots of varied exhibits to see. Attended the Electric Run and it was amazing! I attended the Spirit West Coast event and was amazed at this facility. It was a great venue with plenty of room for the various acts, dinners and vendors. The architecture of the grandstand building is worth the trip! 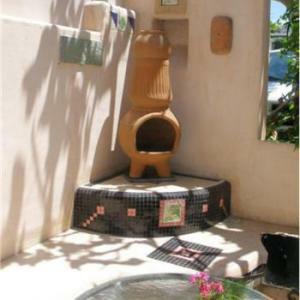 Liked: Beautiful facility with plenty of room.